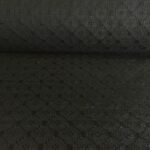 Black Brocade horse-hair fabric is the convergence of luxury and function. Traditionally used in 19th Century period furniture, horde hair fabric has since retained it’s popularity. Horse Hair fabric is composed of a cotton/silk blend on the warp, and horsehair (sourced from the tail) on the weft. Thus the weave typically stands between 60-70cm wide. 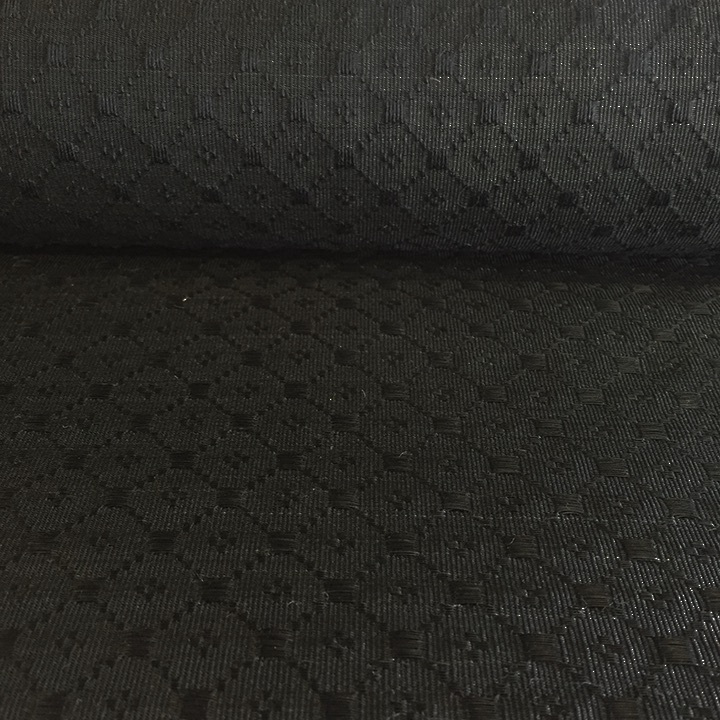 Because of it’s unique composition, Black Brocade is strong and robust whilst maintaining visually beautiful and delicate with a near-polished finish, granted from the woven horse hair. 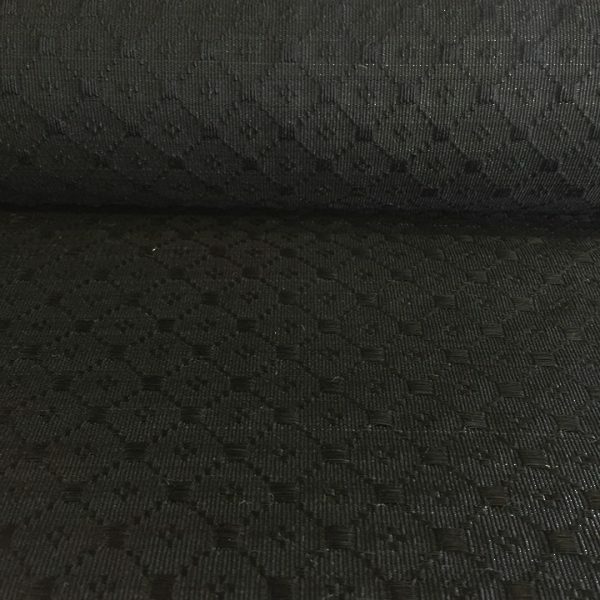 As a result Black Brocade is suitable for Upholstery of specific furniture, Soft Furnishings, Garments or Fashion Industry and Handbags. 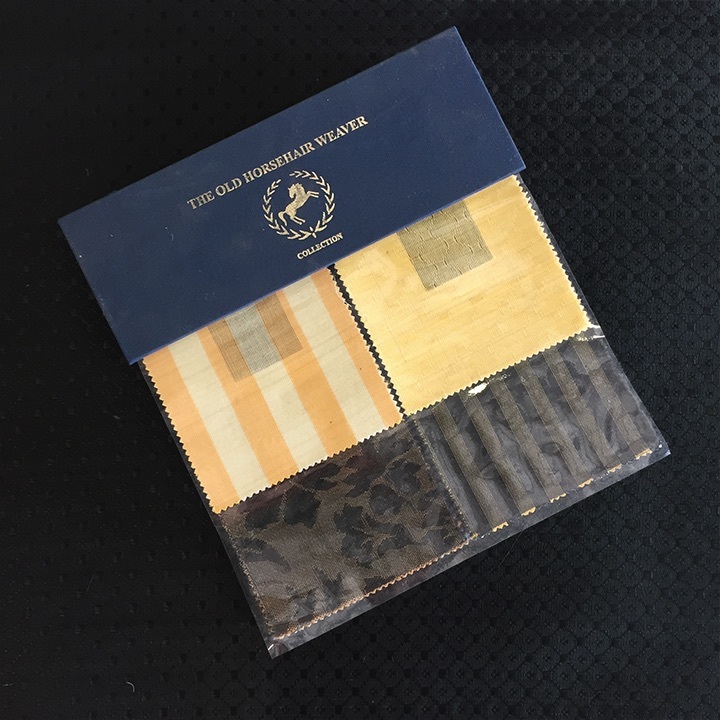 This product is available to Trade only, Contact Us for any information or inquiries. Suitability: Upholstery for , Soft Furnishings, Garments, Fashion Industry and Handbags. What’s cosier than a caramel swirl on a glum day? A delicate washed-out linen with cream and caramel stripes! The cream white base gives the caramel stripes a washed out look. A lusciously rustic and weighty linen that is durable and versatile. Bring a cosy casual feel to your home with this sweet number. Sky Blue – Cotton, Return to the days spent looking up at the sky and finding animals in the clouds. 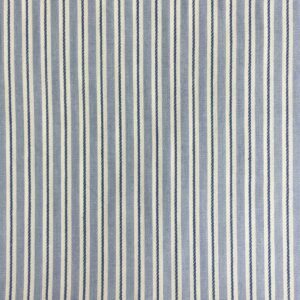 This youthful, cool toned blue striped cotton can bring exuberance to any room. Delicate notes of lilac within the cool blue add dimension, which makes it more versatile. Cool blue stripes contrast the white stripes complimented by a raised dark blue weave in the centre of the white stripe. The white base and delicate weave of the lightweight cotton tones down the bold fabric, giving it a washed-out look. 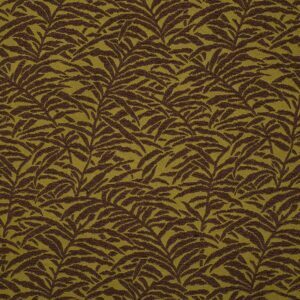 This fabric is available on 4 roll. 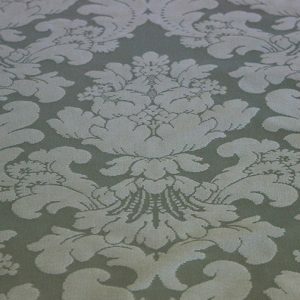 Opal – Cotton Damask French Damask Collection is a complicated grey-blue toned green coloured damask. In one light it looks like a very cool toned damask with more pastel notes than any other in the French Damask Collection, but in another light, warmer shades come through erasing the pale blue tones. Another gorgeous piece that changes depending on the light. A very delicate fabric that can add freshness to an otherwise beige-heavy room. 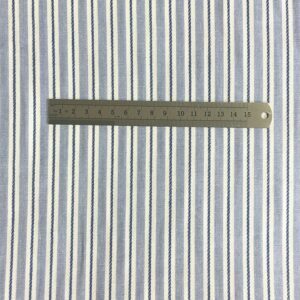 This fabric is available on 2 rolls. One roll of 4.2 and 1.7 metres. 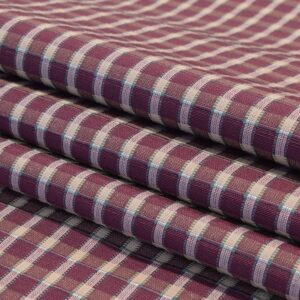 This check Dorado Grape – Cotton/Polyester fabric is like a luscious grapevine that boasts purple-burgundy grapes, fresh green leaves and a light brown stem. The combination of these three main colours with a check design and intermittent raised weave gives this fabric a plaid look. Quite rich with the dominant burgundy base, minimal green and soft amounts of light brown woven through. Delicate sheen from the Cotton and Polyester mix.